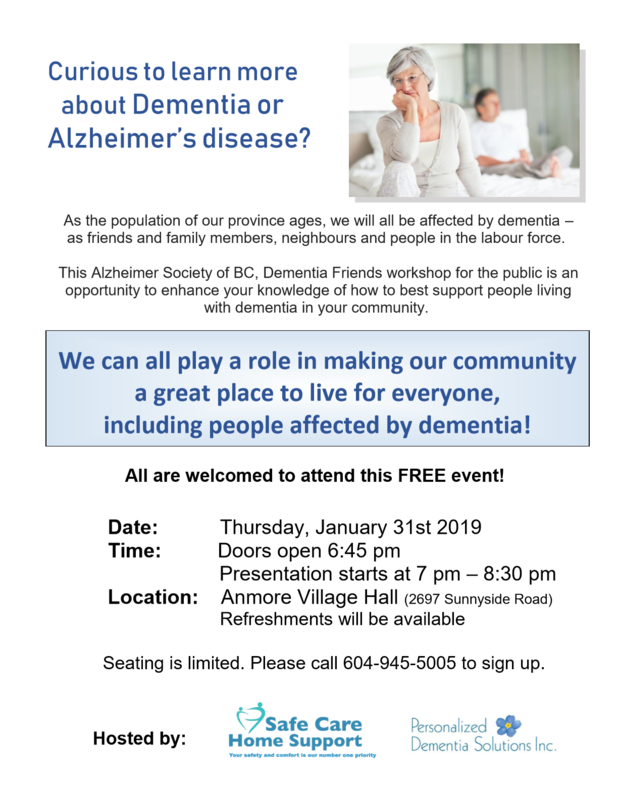 Dementia and Alzheimer Talk January 31 at 7pm (hosted by: Safe Care Home Support and Personalized Dementia Solutions Inc. Doors open at 6:45pm. Please call 604-945-5005 to sign up. Seating is limited. Click HERE for full details below or view image below.